I haven't been able to break 4ghz. 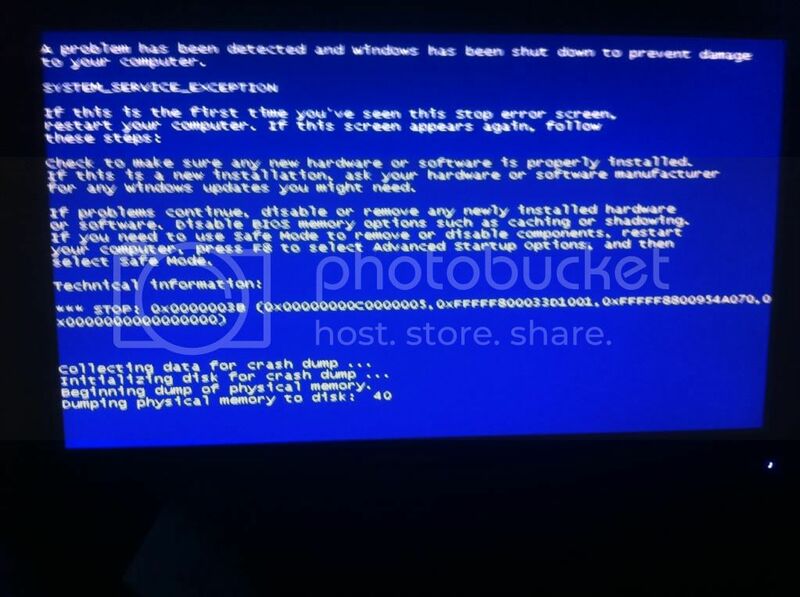 I keep getting blue screen with irql message. Idle temps are only 1deg higher than stock, peak on prime95 was 74, usually at 71. I think my ram is the problem. When it is not at 1600mhz it seems to freak out. i7 cpus tend to like odd number multi's. For example lets say for 4ghz 22x181 may take more vcore then 23x173. As for load line use level 1 if your on air or lowend watercooling. With LLC off and 1.4v set in bios load would be like 1.35 or less. With LLC level 1 with vcore set to 1.4 you could see 1.375. Level 2 with 1.4 set in bios you could possibly see 1.425 under load in windows. Hey, haven't tried anything for the past few days. This current setup has been working very well with no problems. My Vtt with the template in my last post was actually 1.315V. I want to try and squeeze just a bit more and break 4ghz. I want to use the BCLK at 200 so I can hit 1600hz on the ram and use a 21x multi without turbo. I just got to play with the voltages more I guess. How high can I the VTT and CPU voltages go safely? I also haven't touched the LLC yet, I guess I should set that to level 1 then? My system is all air cooling (antec 900 and 2 v3, with the CPU on a hyper 212+). The idle is 40C, under load prime95 it holds a stead 71C, spiked at 74C briefly. The room temperature is 70F (21C). Ok, thanks again for your help wazza. I will give it another go tomorrow. This is my current setup btw. I saw on one of the BSOD lists that 3B means you should add more CPU voltage. So I bumped it up two notches to 1.395V. Everything posted fine. Ran intel burn test again and this time the screen froze within 10 seconds for a few moments then went into a black screen and stayed stuck. After a 7 seconds nothing changed so I powered off an on then reset the settings to my previous 3.8ghz setting. I had read about BSOD, and auto restarts, but not a blank freeze - is that an error to be expected?